Delaney loves words. She loves vocabulary in English and she loves learning random words in foreign languages. 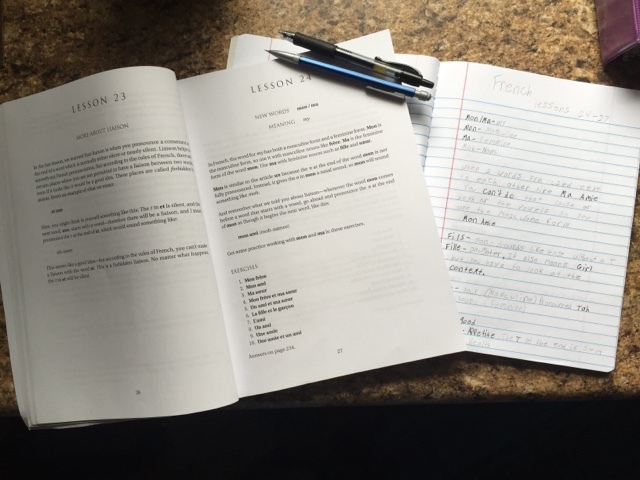 When we were offered Getting Started With French from Armfield Academic Press she wanted to give it a try. Getting Started With French teaches beginning French for any age student wanting to learn the language. This course is a self-taught book with access to pronunciations MP3 files for each lesson. It was written to meet the needs of homeschooled students and self-taught individuals who do not have access to a teacher. William E. Linney first wrote Getting Started with Latin in the same manner. Once that was a huge hit he decided to consult other people to help him write Getting Started with Spanish and then Getting Started with French. 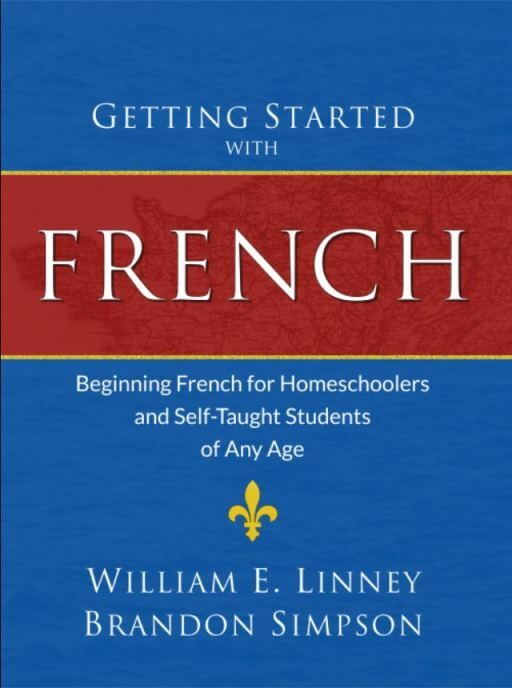 There are 281 pages divided into 172 lessons in Getting Started with French along with a section on how to use the book, general advice, pronunciation guide, and an answer key. New words and concepts are introduced gradually in each lesson and there are exercises to review material from previous lessons. New vocabulary words are printed in bold type and hard to pronounce words have their description right there or you can always listen to the MP3 file and look in the pronunciation guide in the back of the book. The first few lessons start out discussing pronunciation, articles, gender, and the 'r' sound. After that the student starts learning vocabulary to be able to form sentences right away. Grammar is discussed throughout the book a little at a time and there are French expressions discussed that are known around the world. In the exercises the student has words to translate into English. To make the lessons a little harder they can also try and translate it back to French. Since this book is self-explanatory, self-paced, and self-contained I decided to just give it to Delaney (age 14) and see how she did. After the first few days I heard her working on her French vocabulary out loud and each day she began speaking a little louder and a little clearer as she gained more confidence in what she was saying. We received our book while we were still officially on summer break and Delaney started using the book several times a week. Once we got started in our new school year she has been using it every day and is already on lesson 34. 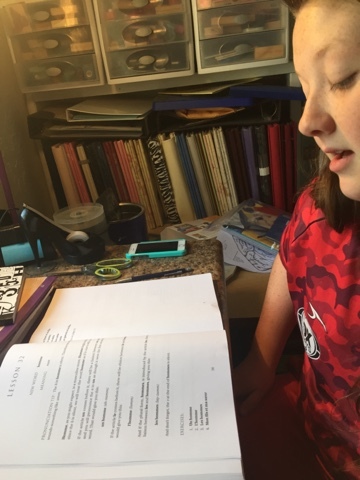 She has been using a notebook to take notes in, write all of her new vocabulary words in, and the answers to the exercises problems. She has been using a pencil in her notebook, but the vocabulary words and other important things she writes in pen so that it will jump out at her if she is looking for something she previously learned. Delaney is my child that loves to write. She has also included in her notebook random Fake For Fun French Letters. She writes a letter to Pierre from Lori and then she replies to the letter. She writes it just as if she were writing to a pen pal, but she uses as many French words she knows and fills in with English words when she doesn't. Each time she has written one of these letters she has used more French words.